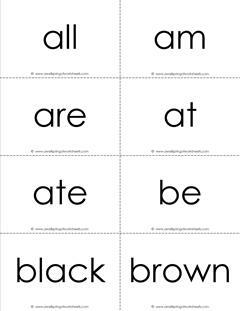 The Dolch sight words flash cards sets on this page come in a black and white set and a color set for each grade level. 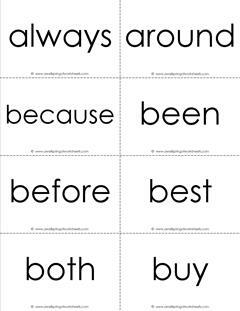 No matter what grade you teach you can have several sets on hand for your different levels of learners. 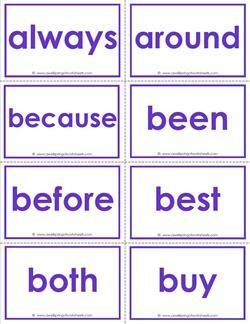 Each grade level is color coded to correspond to the Dolch word lists. 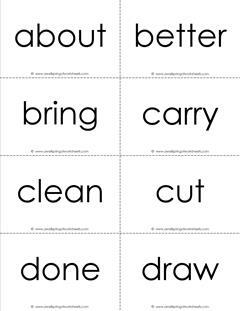 A set of Dolch sight word nouns and phrases have been included here, too. 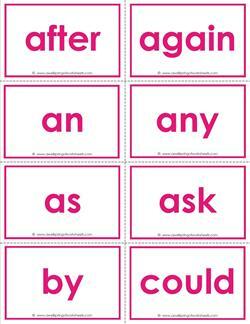 Print on card stock for longer lasting cards. Cut on the dashed lines. 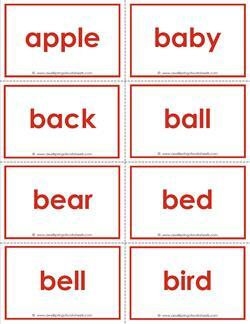 This set of Dolch sight words flash cards - pre-primer has 40 words, 5 pages, 8 words per page. For 4-5 year olds. 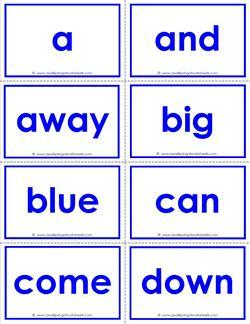 These Dolch sight words flash cards - pre-primer - in blue have 40 words for children of preschool age. 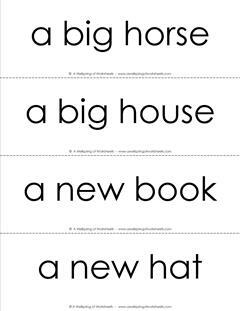 Six pages, 8 words per page. 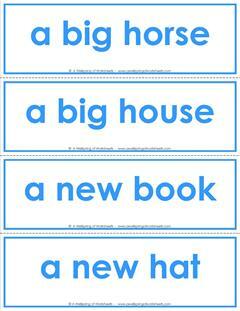 These Dolch sight words flash cards - primer - contain 52 sight words just for kindergarteners. 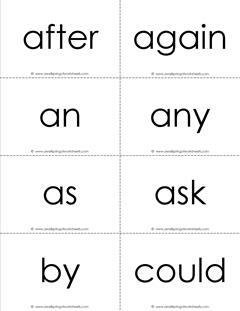 Seven pages, 8 words per page. 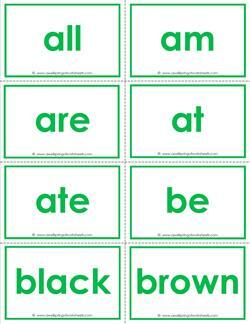 These Dolch sight words flash cards - primer - in green contain 52 sight words for kinder or first, 5-6 year olds. Eight pages, 8 words per page. 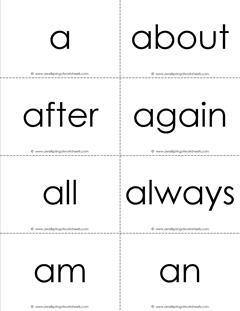 Suited up in black and white, this Dolch sight word flash card set for third grade has 41 words, 8 words per page on 6 pages. 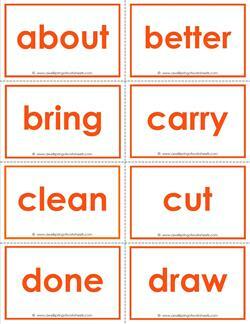 These Dolch sight word flash cards for third grade come in a fall orange. 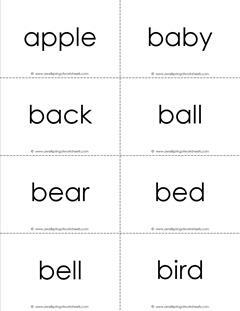 They have 41 words on 7 pages with 8 words per page. 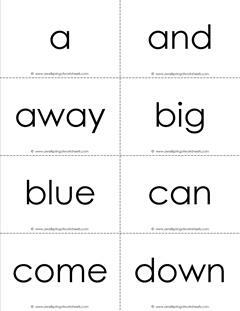 This complete set of Dolch sight word flash cards has all 220 sight words is 28 pages with 8 words per page. 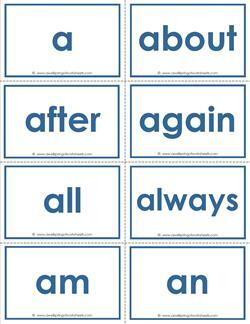 This complete set of blue Dolch sight word flash cards has all 220 sight words, is 30 pages with 8 words per page.